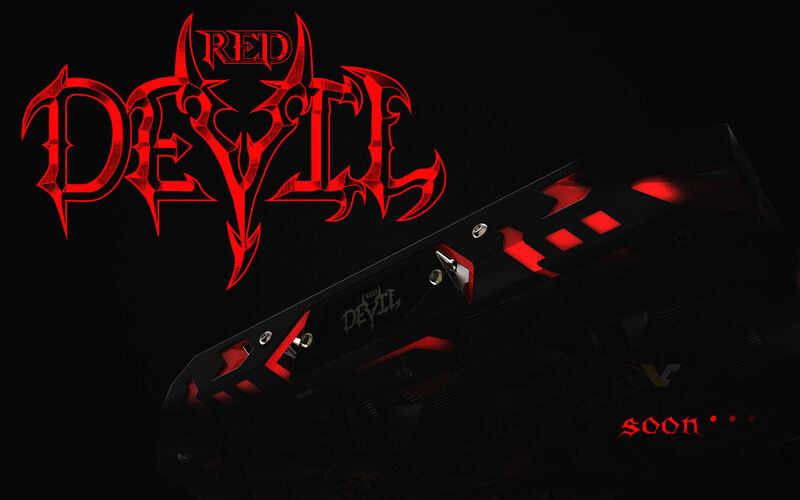 PowerColor is a known manufacturer of high-end GPUs that come with factory overclocked speeds and a massive air cooler to match the aesthetics of its ‘Red Devil’ lineup. 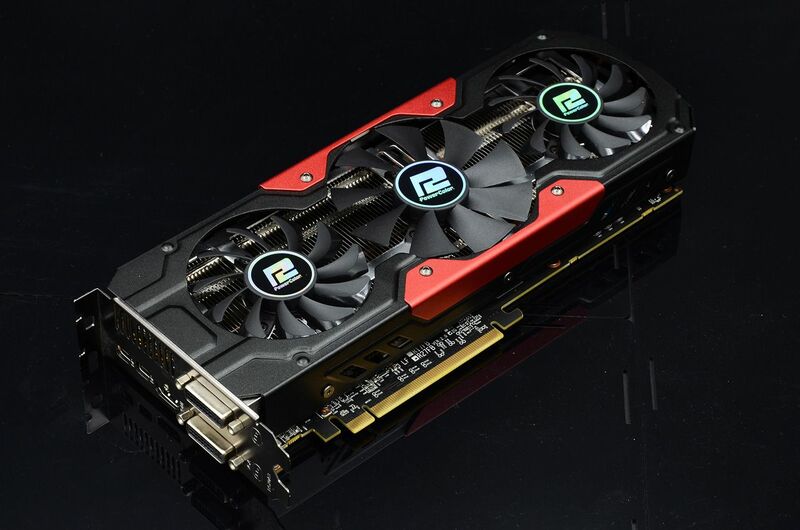 The RX 480 is a terrific example of the manufacturer’s product lineup and it looks like an even better performing graphics card is going to be announced in the foreseeable future. 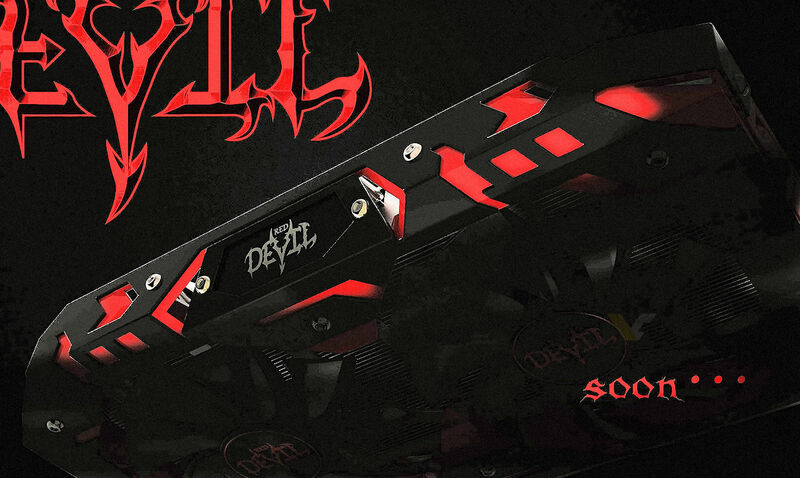 According to these images, it looks like PowerColor is teasing what could be the upcoming RX 580 belonging to the company’s Red Devil GPU lineup. Since the RX 580 and RX 570 are expected to get announced sooner than the AMD Vega series, it looks like PowerColor could be preparing its own version of the RX 580. Looking at both images, this definitely looks to be a dual-fan design and it looks like it could use up a total of three PCIe slots in your chassis so just in case, make sure you have ample room in your casing before embarking on your purchase. The fans look slightly larger, which will work in the favor of the GPU because that would result in higher airflow. Another detail that caught our attention was the fact that these images (via VideoCardz) show no PCIe power connectors. This could possibly be because how the teaser is being displayed by the manufacturer, so we are under the impression that when the final product is officially announced, it will be bearing power connectors. According to a previous leak, the AMD Radeon RX 580 is expected to feature a slightly higher clocked Polaris 10 GPU. It is possible that the RX 580 features a total of 2304 stream processors, 144 TMUs, 32 ROPs. The leak also reported that the upcoming GPU will be running at 1,340MHz, and will be able to deliver 6.17TFLOPs of compute performance. This means that the PowerColor variant could be running at a higher clock speed. In addition, there will be 8GB of GDDR5 memory onboard, clocking in at 8.0GHz along a 256-bit bus interface. The card is expected to deliver 256GB/s of memory bandwidth. Pricing of the non-reference GPU has not been detailed but it looks like the RX 500 series are going to be announced in April, so the custom variants will definitely be coming after that. Will you be waiting for the arrival of the PowerColor RX 580 that ships out with a beefy cooler? Let us know your thoughts down in the comments.